New is waiting to be seen in this 2 BR 1 bath condo in Heather Hills Apt Condo. Enjoy the 55+ community. Split floor plan offers privacy to both bedrooms. Each of the bedrooms have large closets for convenience. The home's interior has been redone in modern fresh tones of gray with crown molding and wide base trim accents. The solid core vinyl plank laminate in the living area and carpet in the BR. Designed to take the wear of a busy family. There is a utility room off the foyer and a large storage closet in the hallway. The master bath and kitchen counters are attractive granite. New lighting, tile and vanity finish the hall bath. The kitchen has great cabinets and workable counter space. The appliances are new. The Florida room is not included in the square footage. A wall A/C unit has been provided. Room sizes are approximate. Heather Hills Apts is a small community with pool, clubhouse, pool hall and shuffleboard. 2 indoor 24/7 cats are allowed in the condo. The community has a condo fee and land lease fee which includes cable, water, sewer, trash, roof, ground maintenance, and building exterior. 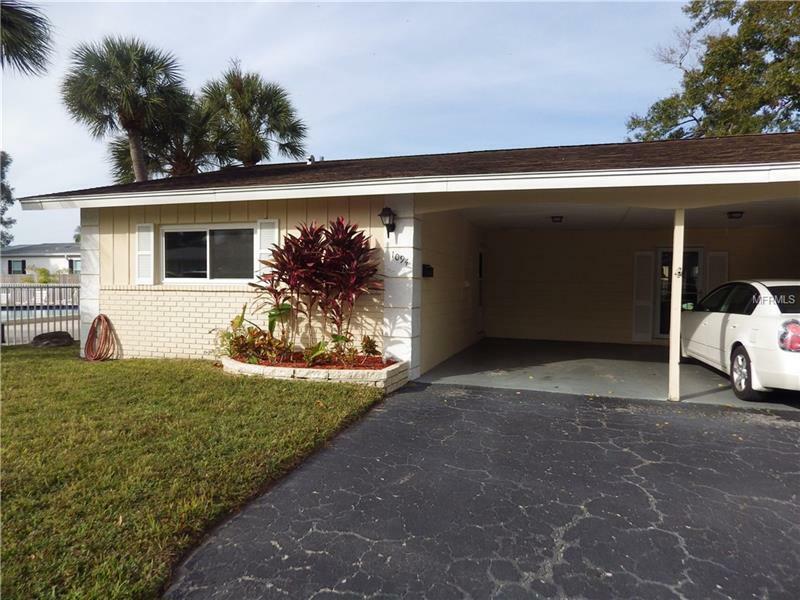 This home and 1 car attached carport is move in ready. Amenities Additional Fees: Land Lease fee is $94.69 monthly. Contact: Midwest Real Estate; Chrissy Mack 920 426 2001 for information and transfer of title. Pet Restrictions: Interior cats and birds only. No dogs except for service animal. Please refer to www.hud.gov/program_offices/fair_housing_equal_opp/ReasonableAccommendations 15 for further information.